Lanny Davis, the attorney representing Michael Cohen, suggested on Wednesday that Cohen had knowledge of a conspiracy between President Donald Trump and Russia. Davis coupled his comments with the launch of a fundraiser he said was meant to help Cohen “tell the truth” about Trump. Cohen on Tuesday pleaded guilty to committing campaign finance violations and said he did so at the direction of Trump. Lanny Davis, the attorney representing President Donald Trump’s former longtime personal lawyer Michael Cohen, said Wednesday that Cohen knew of efforts by Trump to conspire with Russia to corrupt the 2016 presidential election. Davis had previously teased that Cohen had “knowledge on certain subjects that should be of interest to the special counsel,” but he came right out and suggested a smoking gun on MSNBC’s “Morning Joe” on Wednesday morning. Cohen pleaded guilty in federal court on Tuesday to multiple charges, including campaign finance violations that he said he committed on the direction of Trump. While discussing the possible implications for Trump, Davis went on to give some details about information he said Cohen had that relate to the special counsel’s investigation into Russian election interference. Specifically, he said Cohen was willing to provide the special counsel Robert Mueller with evidence that Trump worked with Russia to sway the election. “Michael Cohen knows information that would be of interest to the special counsel regarding both knowledge about a conspiracy to corrupt American democracy by the Russians and the failure to report that knowledge to the FBI,” Davis said. It’s unclear whether Mueller’s team has approached Cohen for information in the special counsel’s investigation. Shortly after Cohen pleaded guilty Tuesday without providing information to federal prosecutors, observers began speculating that he might try to “flip” against Trump and work with Mueller’s team so that it might recommend leniency in his sentencing. Trump has denied colluding with Russia to influence the 2016 election. Davis went on to plug a fundraiser for Cohen, called the Michael Cohen Truth Fund, to help cover Cohen’s legal fees. 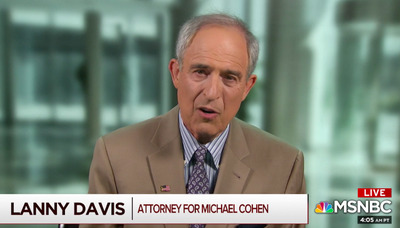 Davis, as Cohen’s legal counsel, may ultimately get the funds donated. “On August 21, Michael Cohen made the decision to take legal responsibility and to continue his commitment to tell the truth,” the fundraiser’s description says. August 21, Tuesday, was the day that Cohen told the court that Trump had directed him to break the law. Cohen had previously displayed a fierce loyalty to Trump but has increasingly signalled a willingness to move against him. 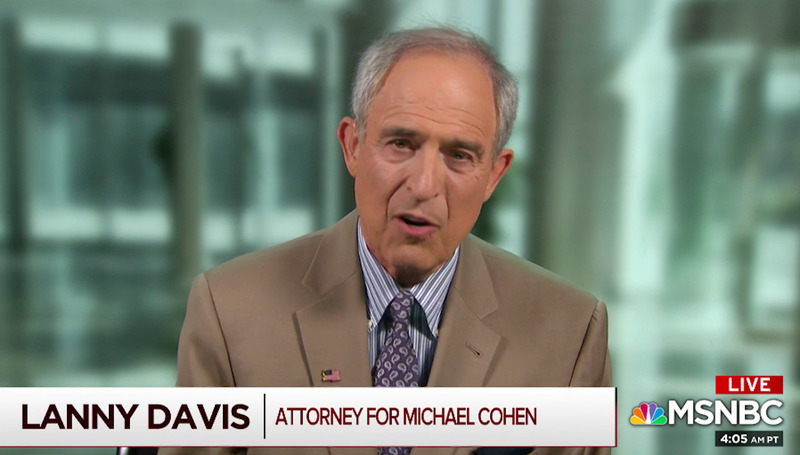 “Cohen is going to be telling the truth to whoever asks him,” Davis said on MSNBC. The FBI raided Cohen’s home, hotel room, and office in April, seizing more than 4 million documents. As a self-described fixer, Cohen is believed to have helped cover up various undesirable stories about Trump. 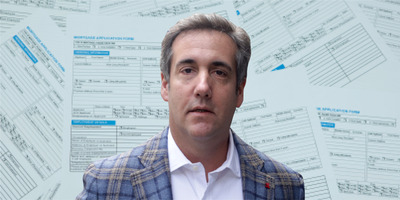 After a brief legal skirmish around Cohen’s defence over whether attorney-client privilege protected the documents and taped recordings seized by the FBI, a judge ruled that less than 0.2% of the documents would be spared from FBI scrutiny. A former federal prosecutor previously told Business Insider that such a quick turnaround from the April raid of Cohen’s properties to his being formally charged could signal his cooperation.